Priced at nearly 70 dollars, this controversial spandex product slips over the head to stop drool. But is it more like a torture device? Check it out. “Dog Slobber Stopper”: It’s pretty clear what this poor dog is thinking. Officially named the Dog Slobber Stopper and priced at nearly 70 bucks, this controversial spandex product slips over your dog’s head to stop drool. 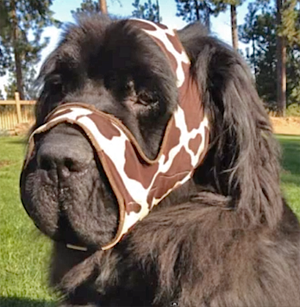 Even though Dog Slobber Stopper claims the product is completely comfortable and elastic, pet owners are not amused, likening it to a torture device or something that would be seen on Hannibal Lecter’s head. 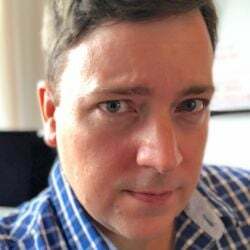 I tried to contact the company for a comment before I published this article, but the Slobber Stopper website contact form was not functional. I did send a request for comment to the website administrator, but no one has responded yet. Update, 11/14: Someone purporting to be from Dog Slobber Stopper has responded; you can read the statement in the comments section below. Right now it looks like the Dog Slobber Stopper is available only for Newfoundlands, but other breeds are in the works. I spoke with Jen from My Brown Newfies, who first alerted us to this product. 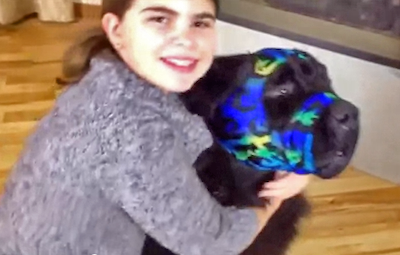 She says, “Dumbest invention ever!” and calls it “downright cruel and inhumane.” Jen owns two Newfoundlands. Speaking from my own experience, my last dog was a Basset Hound, as drooly as they come. I would never consider a product like this just to make my life a little more convenient and my walls a little less slobber-soaked. “Mouth diaper”? NO WAY. What do you think? Are you as outraged as other people we’ve talked to? Tell me your thoughts in the comments section below. Can’t wait to see what you say!